I ♥ Motherhood: Galt Toys Review - Peepo Puppet! 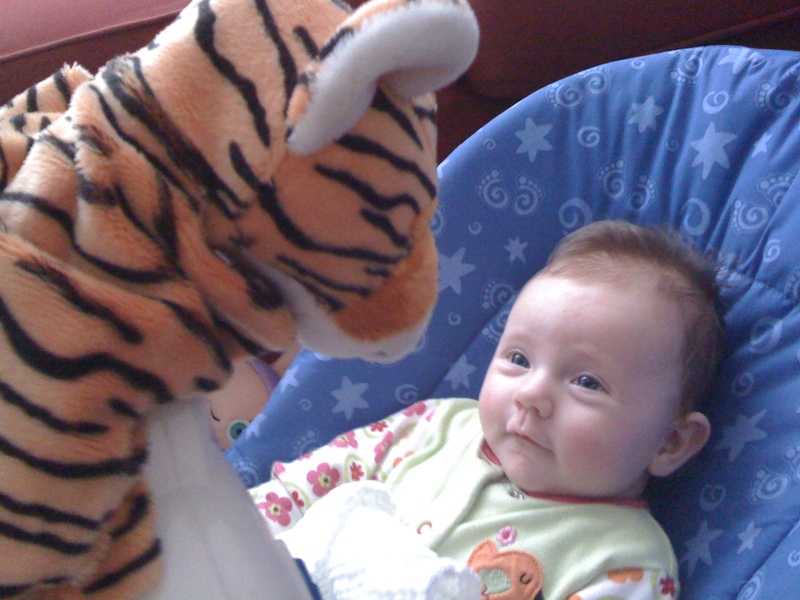 We were recently sent a Lion Peepo Puppet by Galt Toys to try out. It's a really cute push-up puppet that you can play peepo with by pushing the soft pole up and down to reveal and hide the lion inside. He's really bright and colourful and the puppet contains a jingle bell and crinkle. The day we got it in the post I waited until Isla had woken up from her afternoon nap to get it out and surprise her with something new. Sometimes she takes a little while to warm up from waking from a nap and so I thought this would help to get some smiles and it did. She was giggling away as we made the lion disappear and appear. She had a go at doing it herself as well and it was really good fun. There were also puppets at Gymboree when we used to go to her weekly class there too. As we have another baby on the way I'm keen to keep up the tradition and I think that the Peepo Puppet will be brilliant as well for young babies and this time around Big Sister can also do some of the puppeteering for her baby brother! This puppet will really appeal to young babies as it's lovely and bright, jingles and makes crinkley noises. These toys help to encourage little ones to touch, explore, build and play. 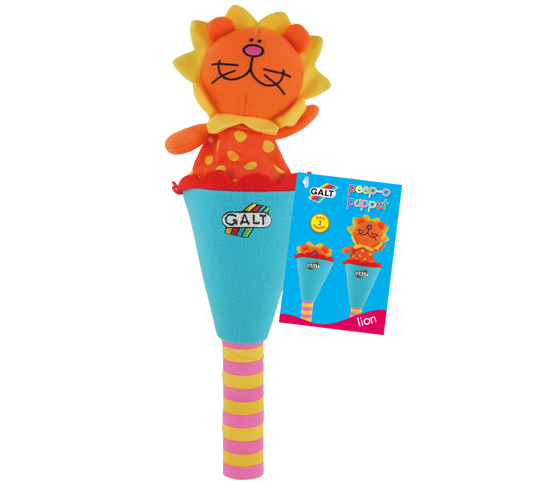 The Galt Toys website is excellent because as well as having the entire range of their brilliant toys on there, it also has a great Activity Zone Page, giving ideas of creative and crafty things to do with the kids and it has games kids can play on the computer. In order to review this toy we were sent a Peepo Puppet by Galt Toys. oh god, I didn't even know you'd reviewed this either, I've just been and looked at your blog after you DM'ed me, but didn't see the review - will go back and check. I saw your Isla though and she is very cute! Thanks for sharing this information about Puppet Toys. Manhattan Toy offers various kinds of puppet toys and puppet stages at very affordable price.